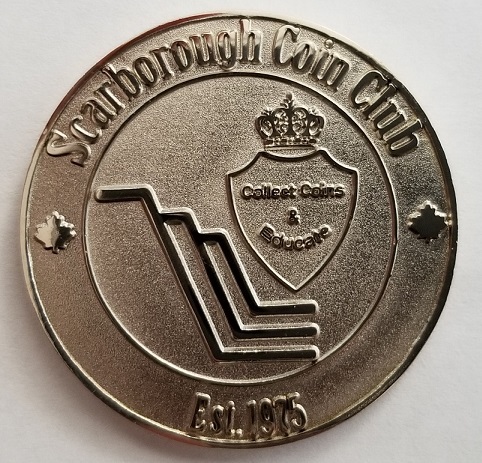 The Scarborough Coin Club has limited quantities still available of the two medals that have been produced. 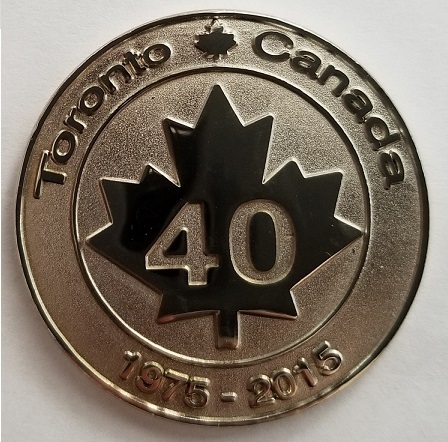 The first medal was released in 2015 to commemorate the Club’s 40th anniversary. It can be purchased for $12.00 each. 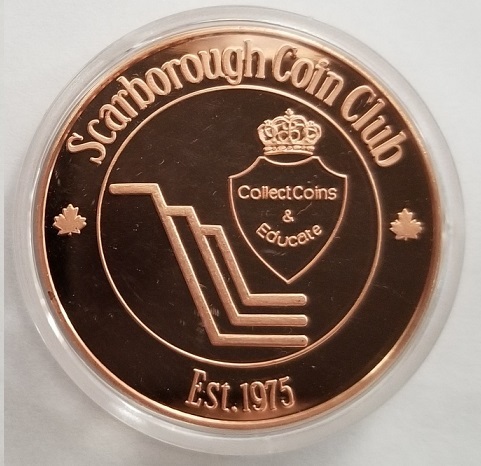 The second medal was released in 2017 to commemorate Canada’s sesquicentennial. 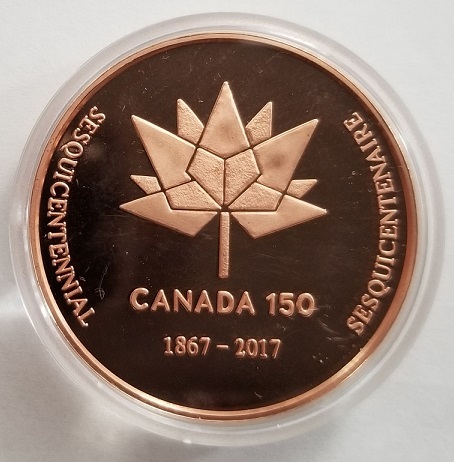 The Canada 150 copper medals are $15.00 each. The club also has a select amount of woods from prior years. 2017 woods (Show and anniversary) are available now for $1.00 each. Prior years are 50 cents each. Our club’s complete set of woods except for sold out issues are still available for $11.00 (40 woods).